Use “people first” language. For example, do not say “deaf person.” Instead, say “a person who is deaf.” The easiest way to avoid insulting people with disabilities is to learn their names and directly refer to them. Never say “handicapped,” “challenged,” or “special.” These words are insulting and unacceptable. Never touch or distract a service animal without prior permission. The service animal is on-duty, just as you are. Try to give People with disabilities options. Then they can determine which option or options best meet their needs. Disregard the idea that you are saving people with disabilities. Simply put: you are not. Many people with disabilities, such as those with hearing loss, vision loss, and mobility loss, retain the ability to save themselves. You need to encourage people with disabilities to be self-reliant and to be independent in the decision-making process. Follow a few simple guidelines when greeting people with disabilities. Treat adults as adults. Address people with disabilities by their first name if you are addressing everyone by their first name. Don’t be embarrassed if you use common expressions such as “See you later,” or “Did you hear about that?” that seem to relate to the person’s disability. Don’t be afraid to ask questions when you are unsure of what to do. Improving the climate for individuals with disabilities at Georgia State. The Disabilities Initiatives Committee and the Faculty Associate for Disabilities are supported by the Office of the Provost. 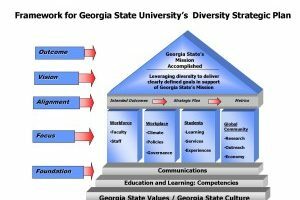 The DIC is a joint subcommittee of the Cultural Diversity and the Planning and Development committees comprised of a diverse group of Georgia State University stakeholders. The committee has developed an action plan to guide their work toward accomplishing the goals set forth in the Disability Strategic Plan. The committee meets monthly to review the status of the initiatives and to address current issues. Initiative 1. Monitor all University employment policies relating to disabilities to comply with the ADA Amendments Act of 2008. Initiative 2. 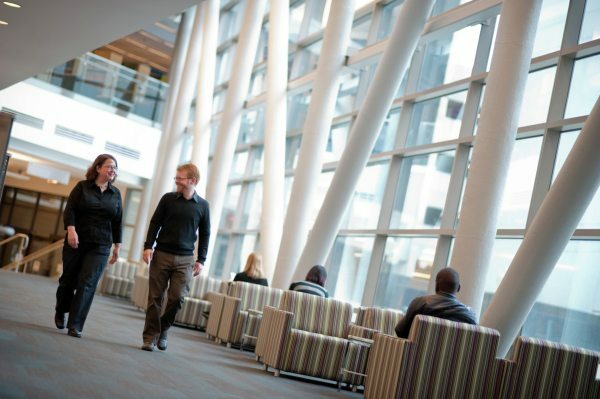 Continue to monitor ADA compliance in the campus building environment as noted in the 2006 Heery Report, including all areas such as sidewalks, routes, parking lots, and building and campus signage. Initiative 3. Develop mechanisms to insure that all University web based materials are available to all who attempt to access them in compliance with the GSU Web Accessibility Policy which follows ADA policy. Initiative 4. The information environment shall be used with ease by people with disabilities as well as the nondisabled, with relevant information disseminated verbally, electronically, and through print. 4.1 Centralize coordination of University communications regarding disability issues through the Office of the Provost. 4.2 A centralized information office shall be established to offer verbal guidance on all disability-related concerns within one year of implementation. 4.3 Establish an online source of information on disability issues that is in compliance with disability law. The DIC completes an annual review of ADA projects included in the Heery Report of 2006. This review consists of a review of projects completed and/or in progress during the current fiscal year. The committee then prioritizes the most critical ADA projects as identified on the university campus for the forthcoming fiscal year to ensure the continuation of projects which address facility accessibility and insure compliance with ADA legislation. The DIC works in conjunction with the Major Repairs and Renovations Funded (MRRF) committee and is given priority to identify ADA critical projects. Universal design refers to broad-spectrum ideas meant to produce buildings, products and environments that are inherently accessible to older people, people without disabilities and people with disabilities. The term "universal design" was coined by the architect Ronald L. Mace to describe the concept of designing all products and the built environment to be aesthetic and usable to the greatest extent possible by everyone, regardless of their age, ability, or status in life. However, before the Universal Design movement, architects rarely addressed the mobility and communication needs of people with disabilities. The results were buildings that were inaccessible to many. It was the work of Selwyn Goldsmith, who published, Designing for the Disabled in 1963. Goldsmith really pioneered the concept of free access for people with disabilities. His most significant achievement was the creation of the dropped curb - now a standard feature of the built environment. Georgia State University continually demonstrates the commitment to provide equal access to the university campus facilities as the university moves forward with renovating some of the buildings acquired which were constructed prior to the Universal Design movement. For more information on Universal Design, go to www.udlcenter.org and www.cast.org. The history of the Americans with Disabilities Act (ADA) did not begin on July 26, 1990 at the signing ceremony at the White House. It did not begin in 1988 when the first ADA was introduced in Congress. The ADA story began a long time ago in cities and towns throughout the United States when people with disabilities began to challenge societal barriers that excluded them from their communities. The disability rights movement, over the last couple of decades, has made the injustices faced by people with disabilities visible to the American public and to politicians. There are far too many people whose commitment and hard work contributed to the passage of this historic piece of disability legislation to be able to give appropriate credit by name. Without the work of so many - without the disability rights movement - there would be no ADA. Here at Georgia State, there are many people who work with passionate resolve to improve the climate of our campus to be inclusive and accessible to all. 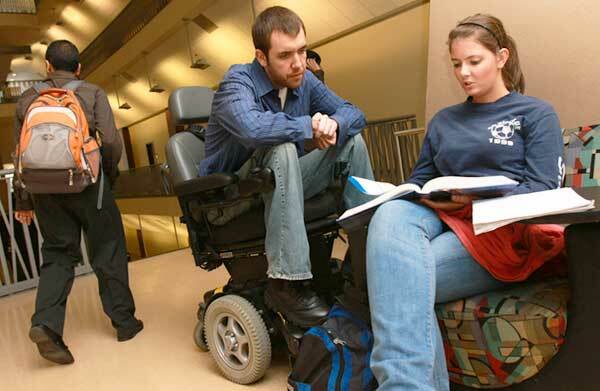 One particular GSU group deserving credit for this mission is the Disability Initiatives Committee. In the spring of 2012, Provost Palm demonstrated her commitment and support for the work of this group by appointing the first Faculty Associate on Disabilities for the campus. Dr. Judith Emerson leads this passionate group’s work toward implementation of the Disability Strategic Plan which addresses facility access, web-based accessibility, dissemination of critical information and centralization of communication regarding disability issues. In the 2013 the Board of Regents approved American Sign Language (ASL) as an appropriate option for Foreign Language credit. Upon this approval a four course sequence of classes began to roll out starting with EXC 1001 Elementary ASL I, prerequisite to EXC 1002 Elementary ASL II which is the course required to meet a foreign language obligation, if chosen. According to Susan Easterbrooks, Professor in the College of Education and Human Development, plans are underway to roll out the remaining courses, EXC 2001 Intermediate ASL I (ASL III) and EXC 2002 Intermediate ASL II, in upcoming semesters. ASL is a rich language with its own grammatical structure that includes non-vocabulary related facial and body movements used to relate vocabulary syntactically, just as the morphology and syntax (grammar) of English tie English words together. While many English vocabulary words have corresponding signs (just as spoken English and spoken Spanish each have a representation for cat/gato), the grammars of the two languages are dramatically different. In fact the grammar of ASL is quite challenging. In addition ASL has a rich historical and cultural heritage. According to Barbara Raimondo, Legislative Coordinator for the National Association of the Deaf, ASL is the 4th most commonly taught language on college campuses in the U.S. There are well in excess of 40 states whose bills, laws, or resolutions acknowledge ASL as a language, including Georgia’s own Senate Bill 170. In the state of Georgia, the Professional Standards Commission offers certification for teachers of American Sign Language, which is why it is so important for institutions of higher education in our state to accept ASL for foreign, second, or new language credit. Not all colleges within GSU require a foreign language and thus there may be some confusion among students regarding whether or not it meets a requirement in their college. Students should check with the advisors in their programs. We are developing a database of all services related to disability support services in the Atlanta Metro region. To date, 129 agencies have been identified which provide services to individuals with disabilities. The goal of the project is to create a searchable, electronic database for consumer access, positioning Georgia State University as a vital community partner to facilitate connections between service providers and individuals for whom the services are intended. 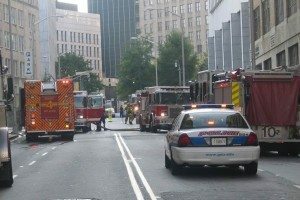 Download the Office of Emergency Services Brochure on emergency procedures for individuals with disabilities.